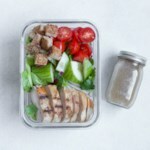 Pack classic Cobb salad upside down in a mason jar for a healthy lunch that won't get soggy while sitting in the fridge all morning. 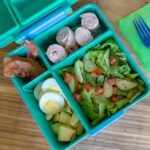 Or pack it up the night before for an easy grab-and-go lunch in the morning. 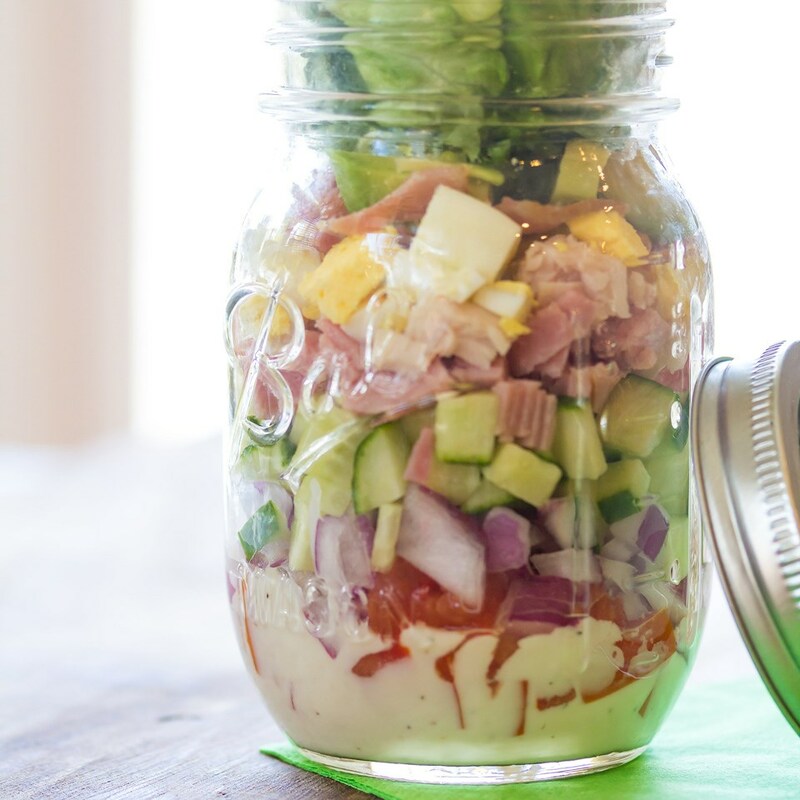 Add blue cheese dressing to a quart-size mason jar. Top with cucumber, tomato and onion. Layer in ham, turkey, egg and bacon. Gently toss avocado with lime juice in a small bowl, then add to the jar. 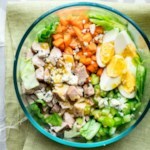 Top the salad with blue cheese. 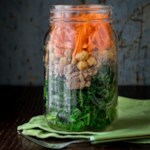 Fill the remaining space in the jar with lettuce. 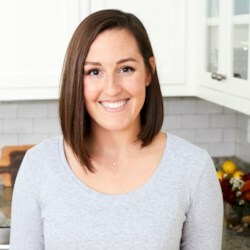 Put the lid on the jar and refrigerate. 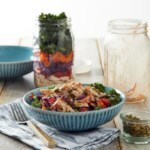 When ready to serve, shake the salad from the jar into a bowl. 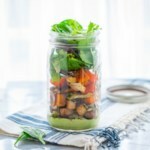 Love layering salads into a mason jar like this. It makes it super easy to pack and eat at work.